You are here: Home 2012 July Sneak a peek behind the veil… how does Monsanto do it? Dr. Weeks’ Comment: Before medicine, I studied political philosophy at Dartmouth and found the human effort of inventing and institutionalizing ideals like truth and justice a fascinating study. 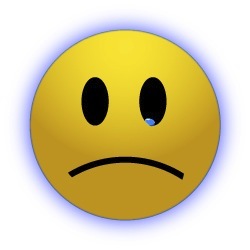 At that time, I learned that the flip side of understanding human being in community is … political economy. Note that “economics” is a different study than “political economy”. What is the distinction? Bribery. Therefore, if you want to know how the political process works, always follow the money. Why Does Monsanto Always Win? If you’ve ever wondered how Monsanto”•a company that admits it wants to own the world’s food supply through its patented genetically engineered seeds”•gets away with not having to label its products, all you have to do is follow the trail of money leading from their coffers into the pockets and campaign funds of well-placed politicians and regulators. According to OpenSecrets.org1, Monsanto basically lives at the doorsteps of legislators in Washington, where it spent $5.3 million last year lobbying the nation’s lawmakers, and has already spent $1.4 million in the first three months of this year. Needless to say, they can afford it. According to OpenSecrets.org, Monsanto had an annual revenue of $11.8 billion last year, so a $5.3 million lobbying investment is far less than one percent of one percent of their revenues. The influence they’re trying to buy doesn’t stop in Congress, though. Monsanto’s legislative agenda also includes the U.S. Department of Agriculture (USDA), the Food and Drug Administration (FDA), and the Environmental Protection Agency (EPA); all of which have a say in whether or not you get to know whether the food you’re eating has been genetically engineered. Can You Trust a System Powered by Lobbying? The power of Monsanto can be seen through its contributions to Rep. Frank D. Lucas, who’s received the most money so far from Monsanto. Lucas just happens to be chairman of the House Agriculture Committee, through which every farm-related piece of legislation must pass. But he’s certainly not the only one wheel getting greased by this biotech giant. “‘…So far this election cycle, Monsanto’s PAC has given $77,500 to 17 members of the House agriculture committee, or their leadership PACs. '” …Monsanto’s interests in Washington are diverse. It lobbied bills ranging from the American Research and Competitiveness Act of 20112, which would extend tax credits for companies doing research, to several bills that would change the way the Department of Homeland Security handles security at chemical facilities — chemicals being a big part of Monsanto’s product portfolio. Such lobbying efforts can, and do, have a tremendous impact on the lives and health of every American, not to mention the environment. It directly impacts the food you end up with on your plate, and whether or not you’re allowed to know what’s in the food you eat to begin with. Monsanto and other biotech companies involved with genetic engineering of crop seeds are currently fighting tooth and nail to prevent labeling of genetically engineered foods, knowing full well that such a label has the potential to destroy their burgeoning industry. Last year, Monsanto lobbied Congress and the U.S. Department of Agriculture concerning regulations that would affect genetically engineered crops such as the company’s Roundup Ready soybeans and alfalfa. As a result, genetically engineered alfalfa was deregulated, despite strong opposition from the organic industry and massive public outcry. An interesting article from last year by Mike Ludwig, titled “Why Monsanto Always Wins,” sheds light on the shady approval process of genetically engineered crops3. To give you another example of how Monsanto has been able to carefully position itself and its wares into a near-invincible position, consider this: The reason why genetically engineered food hazards have never been studied beyond 30 days, nor are currently being studied, is because the corporations controlling the patented seeds, such as Monsanto, are allowed to prevent independent studies per current patent laws. 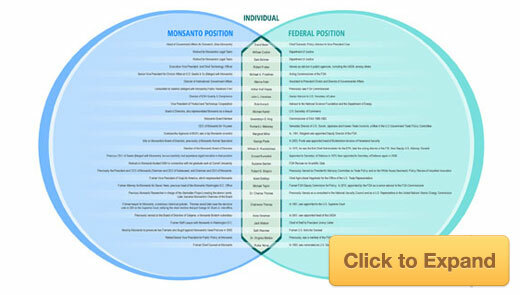 Monsanto’s political influence clearly reaches far beyond our U.S. borders. Most recently, in an effort to “end hunger in Africa,” the Obama administration drafted some of the world’s largest food and finance companies to invest in projects all over the continent5. Much of the $3 billion effort will go toward developing seeds and fertilizers and building silos for storage. To do this, the President has rounded up the usual suspects, which includes Monsanto. However, unlike the U.S., some donor countries are insisting that their money be spent on traditional food handouts instead of genetically engineered monoculture, such as that offered by Tanseed, a Tanzanian seed company that will spend $11 million buying certified seed to be sold in little packets to small farmers. Still, the evidence tells us genetically engineered crops cannot coexist with organic or conventional crops. They usually end up contaminating nearby fields, turning those farmers into patent-infringing criminals in the process””a scenario no farmer on any continent could ever have imagined a couple of decades ago. Another project seeking to establish genetically engineered crops in Africa is the Alliance for a Green Revolution in Africa (AGRA). Through this alliance, heavy-weights like Monsanto and other biotech companies, along with the Gates Foundation, are foolishly promoting GE crops as the answer to Africa’s hunger problem. But donating patented seeds, which takes away the farmers’ sovereignty, is not the way to save the third-world poor. The Gates Foundation has donated hundreds of millions of dollars to AGRA, and in 2006 Robert Horsch was hired for the project. Horsch was a Monsanto executive for 25 years. In a nutshell, the project may be sold under the banner of altruism and ‘sustainability’, but in reality it’s anything but. It’s just a multi-billion dollar enterprise to transform Africa into a GE-crop-friendly continent. “Five million Brazilian farmers are locked in a lawsuit with US-based biotech giant Monsanto, suing for as much as 6.2 billion euros… The farmers claim that Monsanto unfairly collects exorbitant profits every year worldwide on royalties from ‘renewal’ seed harvests. ‘Renewal’ crops are those that have been planted using seed from the previous year’s harvest. While the practice of renewal farming is an ancient one, Monsanto disagrees, demanding royalties from any crop generation produced from its genetically-engineered seed. Because the engineered seed is patented, Monsanto not only charges an initial royalty on the sale of the crop produced, but a continuing 2 per cent royalty on every subsequent crop, even if the farmer is using a later generation of seed. ‘Monsanto gets paid when it sell the seeds. The law gives producers the right to multiply the seeds they buy and nowhere in the world is there a requirement to pay (again). Producers are in effect paying a private tax on production,’ Jane Berwanger, lawyer for the farmers told the Associated Press reports. In the U.S., labeling genetically engineered foods is likely the best shot we have at circumventing Monsanto’s power-grabbing ways and stopping the unchecked proliferation of genetically engineered foods. This is why we strongly support state initiatives, such as California’s 2012 ballot initiative to require genetically engineered foods sold in the state to be labeled. This is a powerful strategy that could have the impact of a national law. Because large food companies are unlikely to have dual labeling; one for California and another for the rest of the country. It would be very expensive, not to mention a logistical and PR nightmare. To avoid the dual labeling, many would likely opt to ditch genetically engineered ingredients from their products entirely, especially if the new label would be the equivalent of a skull and crossbones label–and that’s exactly what Monsanto fears GMO labeling will be. Here’s a direct quote from the president of a Monsanto subsidiary: “If you put a label on genetically engineered food you might as well put a skull and crossbones on it.” – Norman Braksick, president of Asgrow Seed Co., a Monsanto subsidiary; Kansas City Star, March 7, 1994. This is why supporting this initiative is so important, as victory in California will likely eliminate most genetically engineered foods from the rest of the U.S. as well. Due to lack of labeling, many Americans are still unfamiliar with what genetically engineered foods are. We have a plan to change that, and I urge you to participate and to continue learning more about genetically engineered foods and helping your friends and family do the same. Your BEST strategy is to simply buy USDA 100% Organic products whenever possible, (as these do not permit genetically engineered ingredients) or buy whole fresh produce and meat from local farmers. The majority of the genetically engineered organisms (GMOs) you’re exposed to are via processed foods, so by cooking from scratch with whole foods, you can be sure you’re not inadvertently consuming something laced with altered ingredients. When you do purchase processed food, avoid products containing anything related to corn or soy that are not USDA certified to be100 percent organic, as any foods containing these two non-organic ingredients are almost guaranteed to contain genetically engineered ingredients, as well as toxic herbicide residues. To learn more about genetically engineered foods, I highly recommend perusing the many videos and lectures available on the IRT site. Please Continue Supporting California’s Ballot Initiative to Label GMO’s! The California Right to Know Genetically Engineered Food Act9 has already been submitted to the State Attorney General. The next step is the campaigning. Remember, if California can get the law passed in November, it’s going to have the same impact asnational law, for the reasons I mentioned earlier. It’s going to be an enormous battle, as the biotech industry will outspend us by 100 to 1, if not more, for their propaganda. So needless to say, the campaign needs funds. If you have the ability, I strongly encourage you to make a donation. I urge you to get involved and help in any way you can. Be assured that what happens in California will affect the remainder of the U.S. states, so please support this important state initiative, even if you do not live there! Look for in-depth coverage of the issue at the Institute for Responsible Technology, subscribe to Spilling the Beans, and check out their Facebook or Twitter. What is your P-cadherin level?